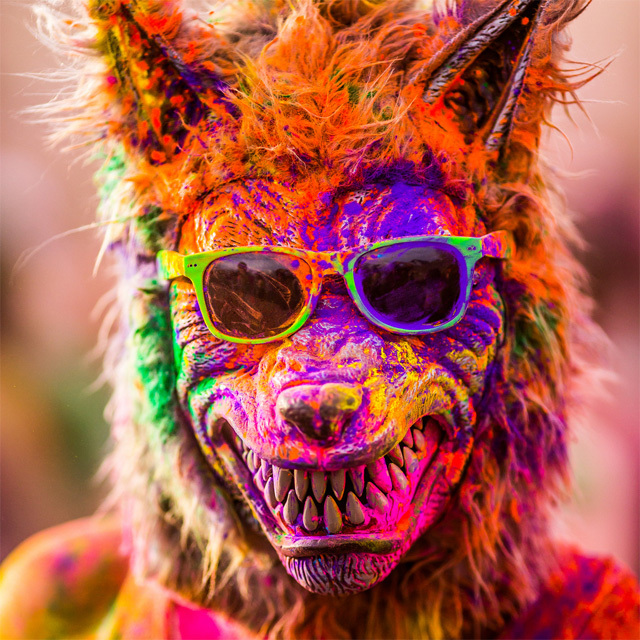 Businesses launch promotional offers during festival season, here in India it’s quite common. Holi is falling on 17th March this year. While markets are getting flooded with colors and sprinklers, businesses are offering discounts on products and services. It’s also quite common that all the online businesses like E-commerce stores spam customers with promotional emails. But doing that bit different is what makes you stand out of crowd. 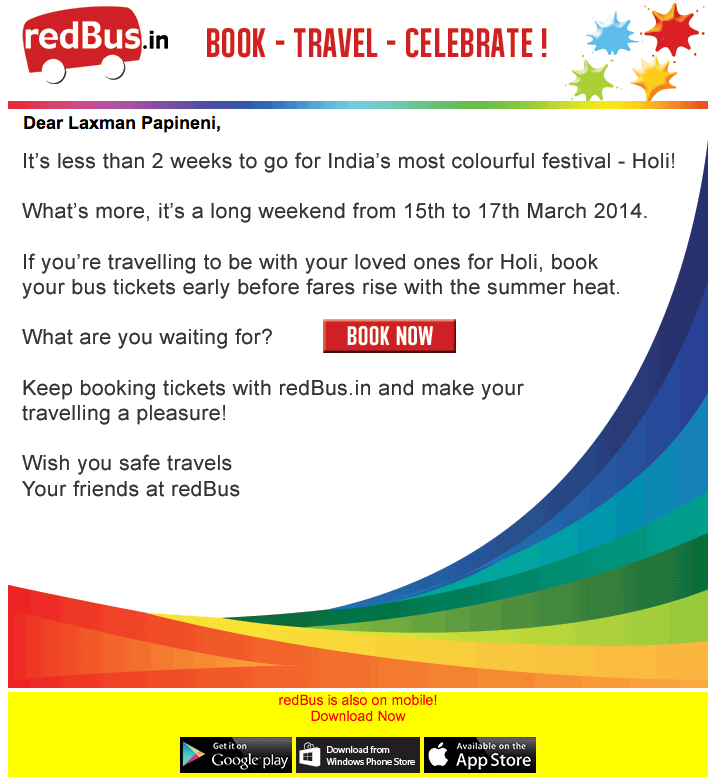 redBus, a Bangalore based online bus ticket booking company employed a growth hack to grow their business for this coming Holi. Instead of sending offers like 5% or 10% discount on your return trip, they just played sensibly and reminded people that it’s Holi and also it’s a long weekend. Important point to note here is that, they just played with people’s sentiment and mindset. Not with discounts. Holi is falling on the 17th of March, a Monday. Note their words – “it’s a long weekend from 15th to 17th March 2014”. If they would have mentioned only the 17th holiday, the impact of the email would have reduced. By combining Monday with the Saturday and Sunday, they are playing with people’s minds. After telling you that it’s going to be a long weekend, they have in a way told you that many people will be booking tickets during this time. Then they are explicitly saying that the prices may go up. By saying this they are creating a sense of urgency, which compels people to take action. Just below that they have a nice big red button saying “BOOK NOW”. If you click on it you will be taken to a landing page where you will see simple key in fields to book tickets. Although the URL of their home page is www.redbus.in but when I click on the BOOK NOW button and land on the page I see a different URL. Why is this so? That’s how they measure the result of the campaign or hack. This will help them identify or improve the growth hacks for future. I hope this growth hack of redBus would have given you some insights on how growth hacks work for different businesses. Though it’s a simple email marketing hack, it converts well. Any experiences? Do share in comments below. Dear admin, I like your blog. Because You shared the information Bus journey in India and private Bus bus Booking. We are one of the top Travel Agents in India. We provide Online bus ticket booking, bus booking, volvo ac bus booking, bus ticket booking, bus tickets, online bus booking, bus reservation online services.